Convict in notorious Tatarstan police torture case seeks parole | Russian Legal Information Agency (RAPSI). MOSCOW, April 12 (RAPSI) – Ex-police officer Ramil Akhmetzyanov convicted of torturing a detainee to death at a Dalny police station in Tatarstan in 2012 has filed a petition for parole, Coordinator of the human rights organization Zona Prava Bulat Mukhamedzhanov has told RAPSI. According to Mukhamedzhanov, in February 2018, the convict was denied parole for the first time. Akhmetzyanov appealed against the ruling. The Supreme Court of Russia’s Republic of Bashkortostan will hear the appeal on May 15. 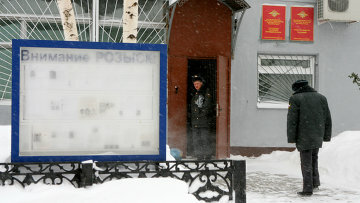 The Dalny police station gained notoriety in March 2012 when, according to investigators, the police tortured detainee Sergey Nazarov to death. His family claimed that the officers abused the man using a champagne bottle. After the incident, investigators revealed several more incidents of torture at the police station. In February 2015, sentence against eight police officers, who were found guilty of abusing power and causing serious injury resulted in death, became effective. The defendants received terms varying from 20 months in a settlement colony to 13 years 11 months in a high security prison.